A Live One is Austin’s premiere Phish tribute band, bringing the magic of Phish to central Texas. Austin City Limits Live at The Moody Theater is a state-of-the-art, 2,700 + person capacity live music venue that will also serve as the new home of the KLRU-TV produced PBS program Austin City Limits, the longest running music series in American television history. 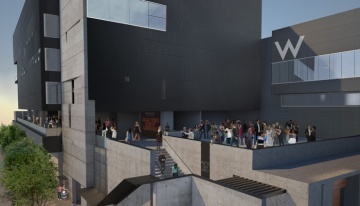 The venue will host 60-100 concerts a year, in addition to the nights the Austin City Limits show will tape. Commitment to green building standards qualify us to apply for LEED® certification, the highest standard for sustainable development. allgo is a queer people of color organization and we envision a just and equitable society that celebrates and nurtures vibrant people of color queer cultures. This project is funded and supported in part by a grant from the Texas Commission on the Arts and in part by the City of Austin Economic Development Department/Cultural Arts Division believing an investment in the Arts is an investment in Austin’s future. Visit Austin at NowPlayingAustin.com. American Listeners Theatre is delighting Listening Audiences with an eclectic Narrators Grail Quest through the Treasure Trove of Americana Story Legend and Lore from THE MAYPOLE OF MERRYMOUNT at our very beginning to A VISIT WITH JOHN HENRY and MESSAGES FROM THE GREENMAN in the Spacious Now. It is indeed a pleasure to expand our Listening Possibilities in that same Spacious Now and welcome Tom Paine’s COMMON SENSE, Henry Wadsworth Longfellow with PAUL REVERE’S RIDE and THE BUILDING OF THE SHIP, some Twilight Tales from Ambrose Bierce and the merry antics of O. Henry’s GENTLE GRAFTERS to the Critically Acclaimed Performance Bill of Fare. Amphion Youth Choir is Austin’s newest choral community for ages 15 – 23. This summer choir is dedicated toward high-energy vocal performance through the works of innovative new composers, world music, and contemporary acappella. Founded and directed by Steve White, this group comprises over 40 college and high school aged singers based in the Central Texas area. 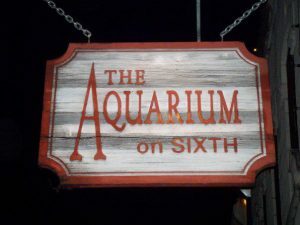 If you’re looking for a place that doesn’t charge extra for great atmosphere, with an excellent combination of interesting people, cocktails, and music that you just don’t see anywhere else. Come sample our fully stocked bar with your favorite imported and domestic beverages, and the best ladies’ rooms on 6th Street! 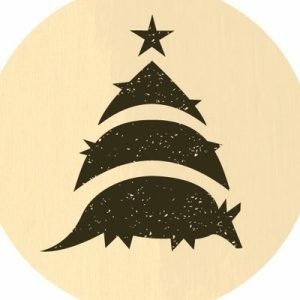 The Armadillo Christmas Bazaar is a 12 day fine art, shopping destination featuring national and local award-winning artists, live music, and two full bars in a festive, lively atmosphere. Four world class professionals make up the Artisan Quartet: Richard Kilmer and Paula E. Bird (violins), Bruce Williams (viola), and Douglas Harvey (cello). Between these four musicians, they have performed on six continents and half the United States. Members of the Austin Symphony and other various organizations in Central Texas, the Artisan members bring a wealth of experience and variety to their music making. QUARTET BIOGRAPHY In it’s brief history, The Artisan Quartet has already performed many concerts around central Texas including at the Victoria Bach Festival, the Incarnate Word University in San Antonio, the Blanco Performing Arts Association Series, the Twilight Series (Jonestown/Lago Vista), the Santa Cecilia Series (Austin), Texas State University (San Marcos), and the Salon Concert Series (San Antonio). The Artisan’s also offer future performances in Austin through the Fall of 2012 with their own "Genius at Play" Series, featuring the complete string quartets of Beethoven. The Quartet is presently in talks with the Austin Symphony to host a chamber music series through the ASO starting in the 2012-2013 season. MidAmerica Productions, Inc. has invited the Artisan Quartet to make its Carnegie Hall debut performing on the Carnegie Hall Weil Recital Hall Chamber Music Series March 22, 2012. The Artisan received a very generous gift from the Classical Artist Development Foundation, Ben Gomez, Co-Founder and Director, to help fund the trip to New York. The group also recently recorded part of the film score soundtrack for the documentary about Barbara Conrad Smith, the legendary Metropolitan Opera singer. The film, entitled "When I Rise" premiered to a standing ovation at its premiere during the SxSW film festival in Austin in March 2010 and aired February 2011 on PBS’s "Independent Lens" series. The Artisan is very proud of its participation in this event. The film was excellent, and it was a pleasure to put the film score together with the director Mat Hames and the composer David Hamburger. The film DVD is available for purchase from www.shoppbs.org. 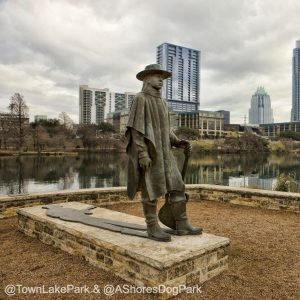 Auditorium Shores is an outdoor concert venue overlooking Town Lake Shores, also serving as a popular picnic area with hiking trails. Loud indie rock band featuring primarily original material. The Austin Area Jazz Festival is a celebration of music, culture, diversity, and the arts. We provide opportunities to experience jazz throughout the year with music performances, cultural activities, and community events. Embarking upon its seventh full concert season, the Austin Baroque Orchestra & Chorus is a Central Texas-based ensemble that presents historically informed performances of music from the seventeenth and eighteenth centuries using replicas of instruments from the 16th, 17th, 18th, and early 19th centuries. Through innovative and carefully curated programming, the ensemble’s mission is to promote early music in Central Texas, particularly in Austin and San Antonio. Each season features a series of five diverse concerts of orchestral, choral-orchestral, and chamber works. 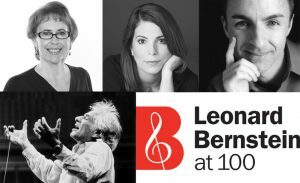 These programs consist of a varied repertoire, from a cappella Renaissance motets to large-scale Baroque cantatas, and from Classic-era chamber music to larger orchestral works such as symphonies and concerti. A particular specialization for the ensemble is the music of colonial Latin America. Preceding each concert is an informal and informative talk about the music led by founder and artistic director, Billy Traylor. Highlights of the ensemble’s recent seasons include “Native Tongues,” a concert of sacred music from 16th- and 17th-century Mexico, Peru, Bolivia, and Spain, with texts mostly in indigenous or Creole languages. This performance, at San Antonio’s historic Mission Concepción, was the ensemble’s fifth performance at the UNESCO World Heritage Site. In March 2017, the ensemble mounted its first performance of Bach’s monumental St. John Passion, and in 2015 the ensemble performed the first known Texas performance of the larger, 1732 version of Handel’s first oratorio, Esther. ABO has been invited to perform at a number of conferences and meetings, most notably a 2012 performance in Mexico at the Cathedral-Basilica of Durango as part of the third annual Festival of Viceregal Music; that concert consisted of works composed for the cathedral in the eighteenth century and currently preserved in its archives. Other similar performances include the upcoming Lozano Long Conference (University of Texas at Austin, 2018) and the International Conference on Historical Linguistics (University of Texas at San Antonio, 2017), as well as the American Choral Directors’ Association Second Symposium on Latin American Music (Austin, 2015), and the American Guild of Organists Regional Conference (Austin, 2013). ABO began in May, 2011, as a chamber ensemble called Ensemble Settecento. Today, the combined orchestra and choir is made up of over thirty musicians with advanced training in historically informed performance who perform using period instruments and historic diction. The Austin Cabaret Theatre is a non-profit organization founded by Stuart Moultan in 2001. Stuart was a new Austinite by way of California who was thrilled to find Austin’s vibrant art scene, but disappointed to discover that cabaret performances were missing. With his background in performing, directing, and producing, Stuart established the Austin Cabaret Theatre with a roster that has included Ann Hampton Callaway, Steve Ross, Jason Graae, Charo Sam Harris, and many others. Austin Camerata’s mission is to enrich communities, both familiar and unfamiliar to the world of classical chamber music, through creative concerts, artistic collaborations, and community outreach. The result: entertaining, educating, and inspiring performances, which transcend the barriers of age, race, and economic standings. 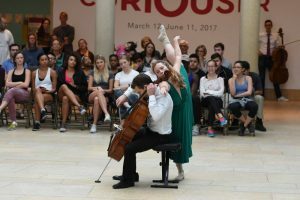 Austin Camerata is a festival that reimagines chamber music and reaches new audiences through unconventional concerts, artistic collaborations, and community engagements. We believe that engaging with all members of the audience is one of the reasons that chamber music is so special. Wherever the performance takes place, we aim to create a connection with every person who listens to our concerts. The Austin Chamber Ensemble was formed in 1981 as a wind quintet. It began with a series of six concerts in 1985 as a tribute to the Texas Sesquicentennial with the Six Flags Over Texas concerts featuring composers from France, Spain, Texas, Mexico, the Confederacy, and the US. These were performed in the Elizabeth Ney Museum and included Austin Chamber Ensemble members and guest artists. Although the Austin Chamber Ensemble initially had a wind quintet as its core ensemble, it has gradually branched out to include all instrumental and vocal combinations in its concerts. Some of the more successful concerts have included chamber orchestra with two pianos and narrator in The Carnival of the Animals, Christmas concert with the Southwestern University Chorale, composers series including concerts featuring women composers and concerts of works by well-known composers Robert Starer and Emma Lou Diemer, who was in residence for the concert., and cabaret concerts featuring lighter works such as the Bolling Suite for jazz flute. Works have been commissioned from composers Donald Grantham, Noel Alford, and Emma Lou Diemer. A unique program was given November 7, 1997, Chamber Music Goes to the Movies, in which chamber music by film composers was featured. This was the first concert of its kind in Austin. In addition to the Austin series, the ensemble has given concerts, master classes and school concerts in many Texas cities as part of the Texas Commission on the Arts touring program. In December of 1993 the ACE Wind Quintet was honored to be selected out of 300 groups to perform for the New Year’s Fest in Kalamazoo, Michigan, and in June of 1994 for the Birmingham, Alabama City Stages Festival. The Austin Chamber Ensemble has traveled three times to Europe to perform concerts in Germany, Austria, France, Belgium, and The Netherlands as part of its exchange program, and has also sponsored artists from Germany and France as well as other American states in Austin concerts. Some other events have included a five-course dinner with wines at the Belgian Restaurant with chamber music interspersed between the courses. The owner, Jean Louis Dehoux, donated the entire proceeds of the event toward the Armonico Chamber Music Series. Incorporated as a non-profit organization in 1985, the Austin Chamber Ensemble has always had the major goals of creative programming, performing new works, artist exchanges and educational presentations. The Austin Chamber Ensemble was formed in 1981 as a wind quintet. It has gradually branched out to include all instrumental and vocal combinations in its concerts. The ensemble has given concerts, master classes and school concerts in many Texas cities as part of the Texas Commission on the Arts touring program. Incorporated as a non-profit organization in 1985, the Austin Chamber Ensemble has always had major goals for creative programming, performing new works, artist exchanges and educational presentations. PRICE: Adults: $25 at the door, $20 pre-sale reservations; Students with I.D. : $10; Ages 5-17 FREE This project is funded and supported in part by a grant from the Texas Commission on the Arts and in part by the City of Austin Economic Development Department/Cultural Arts Division believing an investment in the Arts is an investment in Austin’s future. Visit Austin at NowPlayingAustin.com. The Austin Chamber Music Center strives to serve the Central Texas community by expanding knowledge, understanding, and appreciation of chamber music through quality performances. They often perform their concerts in public venues such as churches, universities, and museums and host an annual chamber music festival featuring local and visiting classical musicians. This project is funded and supported in part by a grant from the Texas Commission on the Arts and in part by the City of Austin Economic Growth & Redevelopment Services Office/Cultural Arts Division believing an investment in the Arts is an investment in Austin’s future. Visit Austin at NowPlayingAustin.com. The Austin Children’s Choir was founded in 1986 by Dr. Bernard Gastler and Concordia University as a gift to the community. The choir provides 1st through 12th grade boys and girls from the Austin area with a refined choral music experience and enriches the Austin music scene with the unique spectrum of sound that only a children’s choir can produce. Rehearsal locations/times: Northwest(8001 Mesa Dr. Austin, Tx. 78731)- 5:30 p.m.-7:30 p.m. Downtown(301 E. 8th St., Austin, Tx. 78701)- 10:00 a.m.-12:00 p.m. South Austin(11819 I.H. 35 South, Austin, Tx)- 2 p.m.-4 p.m. 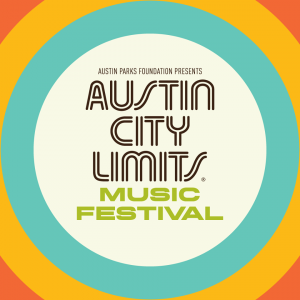 The Austin City Limits Music Festival is a annual event showcasing the best music from Austin and beyond. The Austin Civic Orchestra brings high quality music to the Austin community through concerts that feature a variety of musical tastes from traditional classics to pop and everything in between. The organization was founded in 1977 and started out as a small group of string players, which has now grown to a full symphonic orchestra. Helpful Information: Tickets may be purchased at the door for all concerts. This project is funded and supported in part by a grant from the Texas Commission on the Arts and in part by the City of Austin Economic Development Department/Cultural Arts Division believing an investment in the Arts is an investment in Austin’s future. Visit Austin at NowPlayingAustin.com. The Austin Civic Wind Ensemble (ACWE) is Austin’s oldest community band, and has been performing public concerts free of charge since its inception in 1975.ACWE encourages Austin musicians, from high school students to senior citizens, who in many cases haven’t played since high school or college, to return to music. Membership is audition-free, and open to all, without regard to gender, race, or religion. Performances are promoted in accessible public spaces, where they serve as an open invitation for all to attend ACWE concerts or rehearsals.Membership provides a lifelong creative learning opportunity to Austin musicians. The rehearsal and performance of challenging classical and ensemble music gives ACWE members the opportunity to improve ensemble playing abilities, enhance their technical proficiency, increase their knowledge of music history, and spend time with other musicians in the community. This project is funded and supported in part by a grant from the Texas Commission on the Arts and in part by the City of Austin Economic Development Department/Cultural Arts Division believing an investment in the Arts is an investment in Austin’s future. Visit Austin at NowPlayingAustin.com. Austin Classical Guitar is one of the leading guitar performance and education organizations in the world. Founded in 1990, the organization proudly features extensive education and outreach programming and six distinct concert series having presented such acclaimed artists as Pepe Romero, John Williams, Christopher Parkening, Eliot Fisk, Xuefei Yang, and David Russell. ACG currently presents six major concert series, reaching more than 10,000 people annually through our International, Summer, FlamencoAustin, Guitar Salon, and Classical Cactus series, along with Community Concert Residencies which provide 50 free concerts annually to Austin students and communities. Our Community Guitarists and Insights programs for adults promote life-long learning in the arts. Since 2001 ACG Education has dramatically transformed Austin's school-based guitar instruction. Working closely with the AISD Fine Arts Department, the program has grown rapidly from serving 20 students in 1 school to serving more than 2,000 students in 40 schools during the 2013-14 school year in daily, for-credit classes. The program also serves the Gardner-Betts Juvenile Justice Center and the Texas School for the Blind and Visually Impaired. High quality guitar programs in Austin schools are proving to be a powerful way to engage diverse young people in the arts. With Texas Music Educators Association reporting that the vast majority of Texas High School students are not enrolled in a music class, it is notable that 90% of ACG’s students are coming to elective school-based music study for the first time through guitar class. For more information about ACG, visit www.austinclassicalguitar.org. This project is funded and supported in part by a grant from the Texas Commission on the Arts and in part by the City of Austin Economic Growth & Redevelopment Services Office/Cultural Arts Division believing an investment in the Arts is an investment in Austin’s future. Visit Austin at NowPlayingAustin.com.